This experience is suitable for guests 8 years of age or older. The "Happy Capy" Experience brings you behind-the-scenes at the Zoo’s Cenote bridge in the Harriet W. & George D. Cornell Tropics of the Americas section to meet one of our female capybara sisters! Take some photos, learn some amazing facts, and sit back and relax as the world’s largest rodent comes up and nibbles on some greens right from your hand! 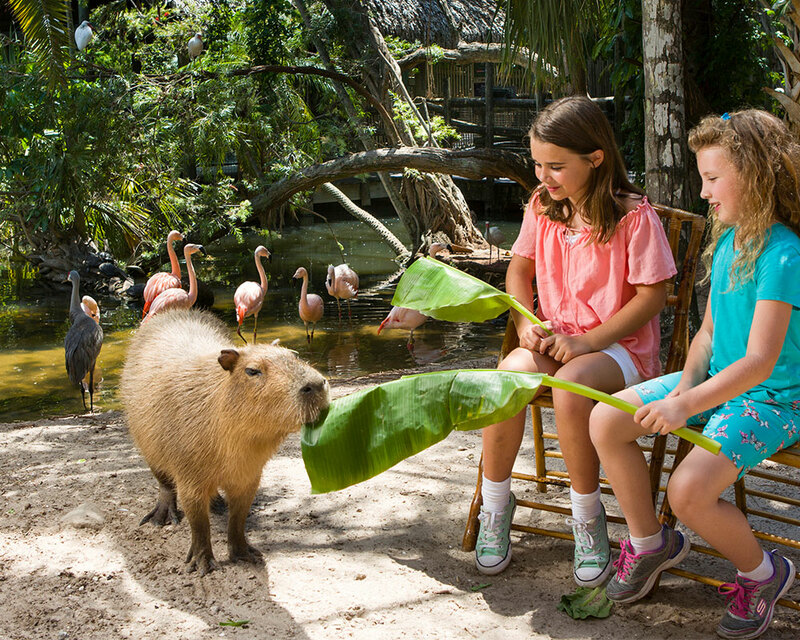 Please note, this experience does not allow guests to pet or touch the capybara. Guests will enjoy a close interation while seated under the supervision of zookeepers. Max 3 people per experience, mixed parties. Cancellations must be made 24-hours in advance of scheduled experience date to receive full refund. We will do our best to reschedule your trip. *Please note that no shows the day of your scheduled visit will forfeit all payments.